Trotman said that the attitude of the ruling party in the House is counter to everything that is democratic and transparent. It is disrespectful of the National Assembly, its members and Guyanese tax payers, he added. Unfortunately, according to Trotman the opportunity which presented itself was scoffed at by the PPPC whose members delighted in attempting to embarrass opposition MPs and at times refused outright to answer straightforward and justified questions about expenditures. He said that for the PPPC it was “business as usual”, even as proven cases of fraud and mismanagement were brought to the attention of the Assembly. 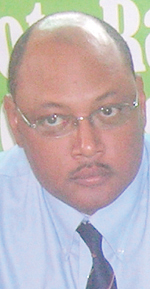 Added to that, Trotman said that they are aware that the entire process of budget debates and review of the estimates is fundamentally flawed because the opposition members are deliberately misled, and no suggestion whatsoever made by Opposition MPs for spending is ever accepted by the Minister of Finance.